What antivenin should you be cautious about giving if your patient has an allergy to papaya? FDA approved for snake envenomations in North America from the Crotalidae species (Rattlesnakes, massasuguas or pigmy rattlesnakes, copperhead and cotton mouth). 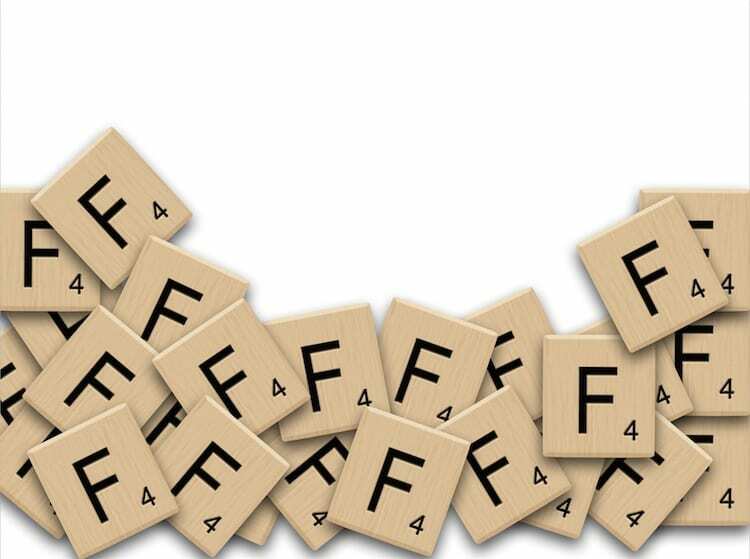 CroFab has purified fragments unlike the prior equine derived antivenin to make it less hypersensitive. However, part of the manufacturing process involves the papain enzyme which is related to papaya, so less reactions for most patients unless you have a papaya allergy. 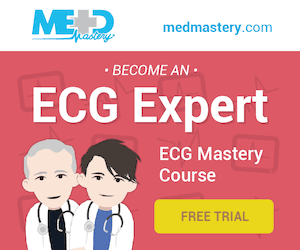 What aneurysm is related to TB? Fritz Valdemar Rasmussen (1837-1877), a Danish physician, described a pulmonary vessel passing through the wall of a tuberculous pulmonary cavity with an aneurysmal dilatation of this vessel into the cavity in 11 cases. He discovered patients with TB would occasionally die from massive haemoptysis due to the rupture of a pulmonary artery aneurysm. Only detected on autopsy and were unique to cavitating lung disease. A patient in a high speed MVA presents with a violet face, bilateral conjunctival and petechial haemorrhages and reports a brief loss of consciousness. What is the diagnosis? A rare problem due to marked massive influx of blood to the head and neck due to sudden thoracic compression, causing retrograde blood flow from the right heart backwards into the SVC. What disease does the following patient have, and what physical sign is present? Keratoconus is the term used for patients who develop a cone-shaped cornea. 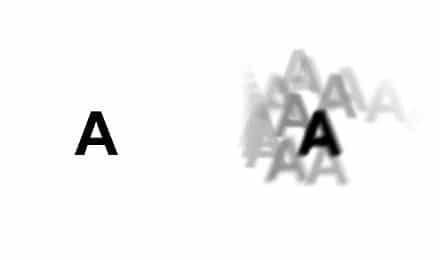 Said to be present in 1:1000 people with symptoms developing in the mid teens of blurred vision or multiple images (see below). 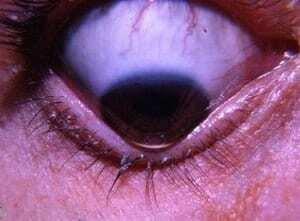 The cause is unknown but thinning of the central portion of the cornea leads to the cone shape. The V-shaped indentation observed in the lower eyelid when the patient’s gaze is directed downwards is called Munson sign after Edwin Sterling Munson (1870-1958). A patient playing basketball heard a snap in their ankle. X-rays are normal but they are adamant it must be more than a strain due to the pain on the lateral aspect. You note the physical finding below. What is the diagnosis? Rapid dorsiflexion of an inverted foot and rapid contraction of the peroneus longus and brevis can cause the tendon to dislocate from behind the lateral malleolus. Classically this causes a pop, clicking or feelings of instability on the lateral aspect of the ankle. Treatment can be non-operative for 6 weeks in a cast but failure rates can be anywhere between 50-83%. Grade 1 = The superior peroneal retinaculum is partially elevated off the fibula allowing for subluxation of both tendons. 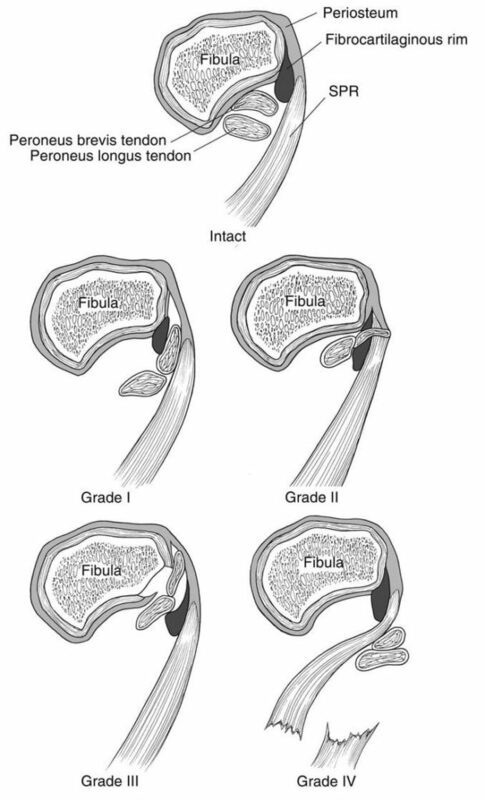 Grade 3 = There is a cortical avulsion of the superior peroneal retinaculum off the fibula, allowing the sublimed tendons to move underneath the cortical fragment. Grade 4 = The superior peroneal retinaculum is torn from the calcaneous, not the fibula. How to diagnose a peroneal tendon dislocation.